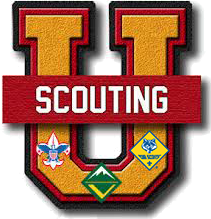 Mickey Leland College Pre, 1700 Gregg St.
University of Scouting is a semi-annual training event for Cub Scout, Boy Scout, Venturing, Sea Scouts, Order of the Arrow, district and council leaders, parents and youth. It is an action-packed, fun-filled single day of supplemental training where participants choose from over 100 courses. For more information, visit www.shac.org/university-of-scouting. View the course catalog. Course Instructors: For the courses you are teaching, select a 1200 level class. Staff: For the periods you are volunteering on staff, select a 1300 level class. Midway Booth Exhibitors: For the periods you are volunteering in a booth, select class 001.